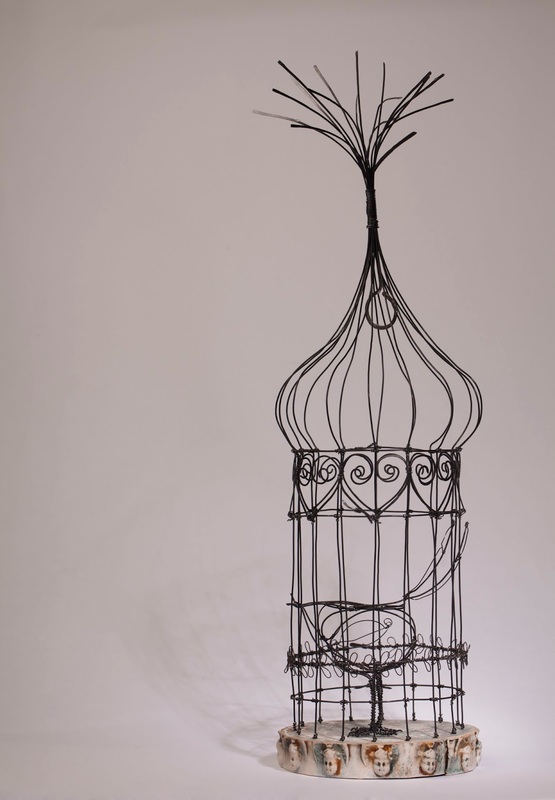 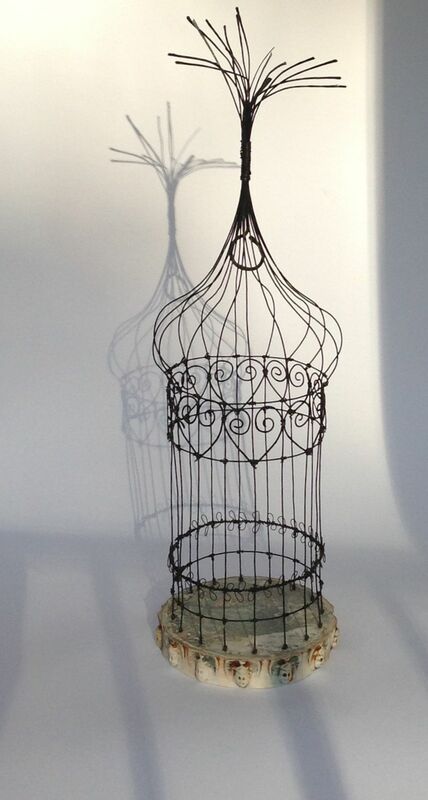 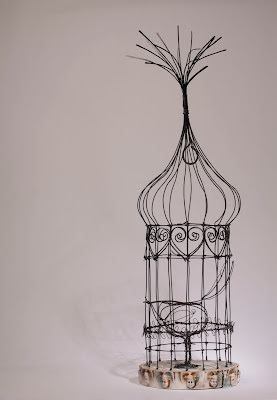 I love this tall, delicate cage with its ceramic base, it stands about 40cm tall and the base is 12cm wide. The base is press-moulded with the heads of a little frozen charlotte doll. 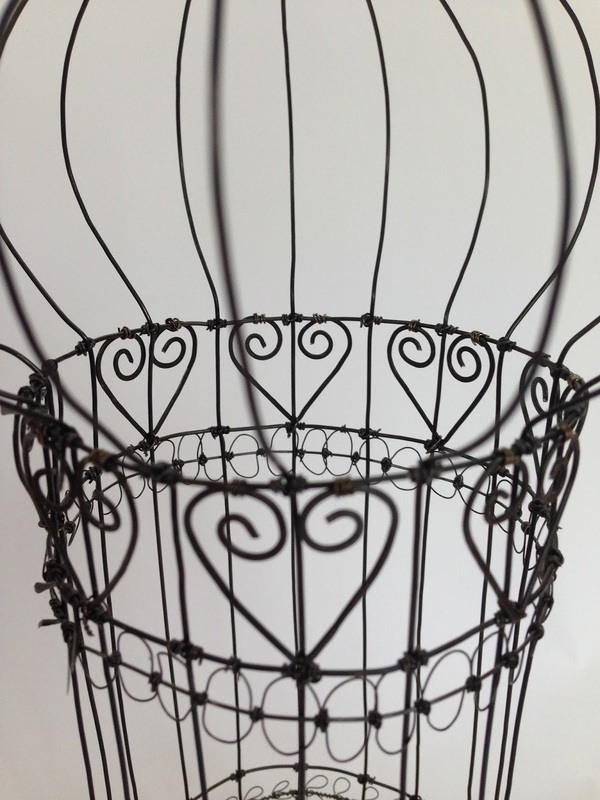 detail of 'a place for my heart' - the wire is black annealed iron and although sturdy is crushable and delicate. 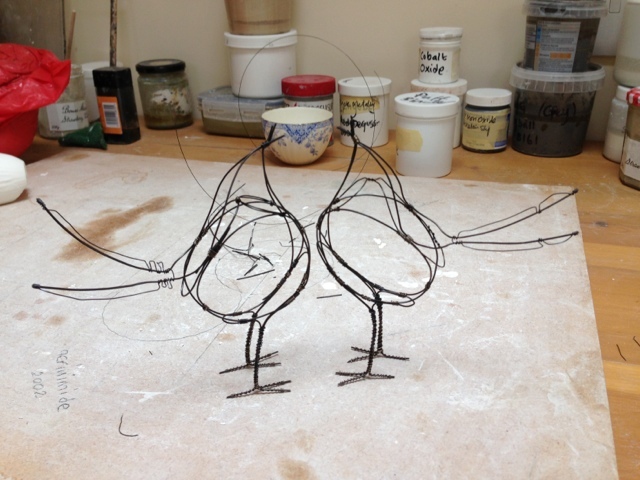 All the wire work is worked by hand. 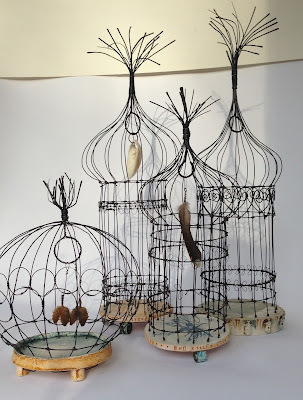 Butterfly cage is the small round one on the left and can hang all sorts of found items inside. If you have a look in the October issue of Cheshire Life you can read a feature all about my work and see some lovely pictures taken in my studio last summer..... gosh that seems a long time ago! 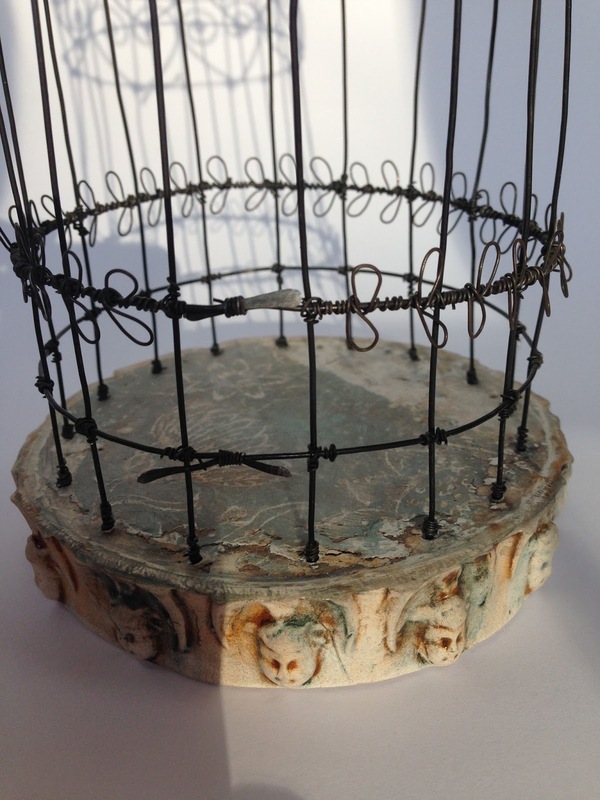 Sarah Wiseman Gallery in Oxford are currently showing my new work including Twisted Funnel above. Well I finally did it after lots of procrastinating and faffing about! 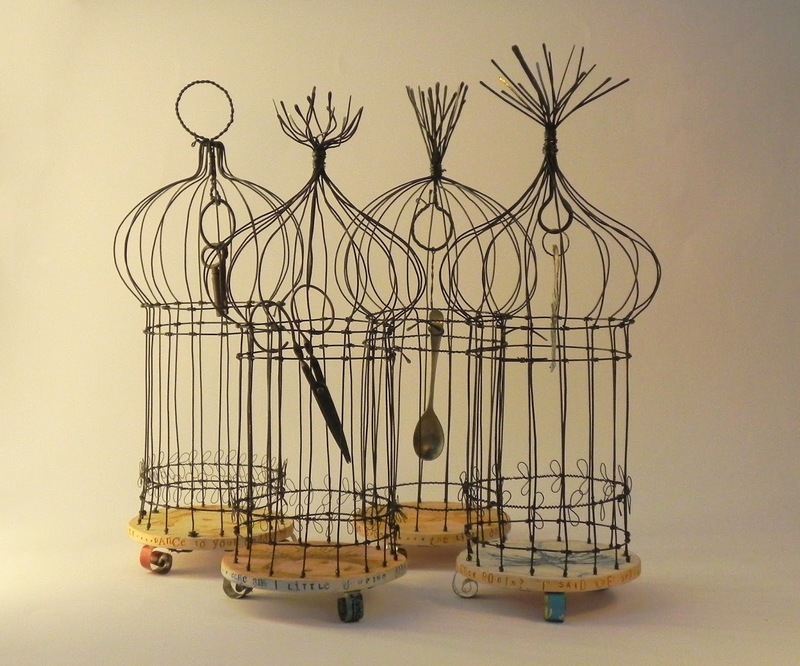 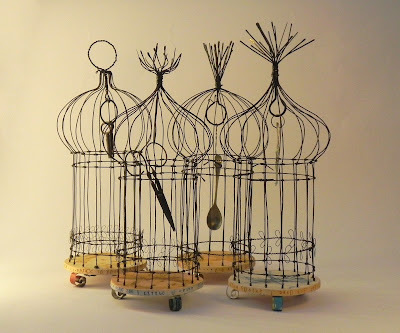 I decided to call my shop Ironsongbird... seemed appropriate and is a way of separating my wire work from the ceramic. 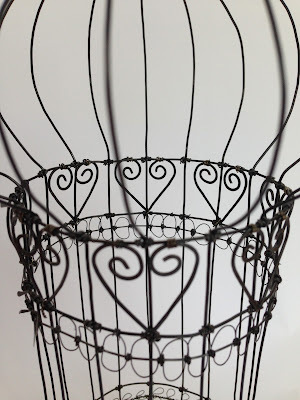 Click on the link - just in the left hand column and it will take you directly to my Etsy page. 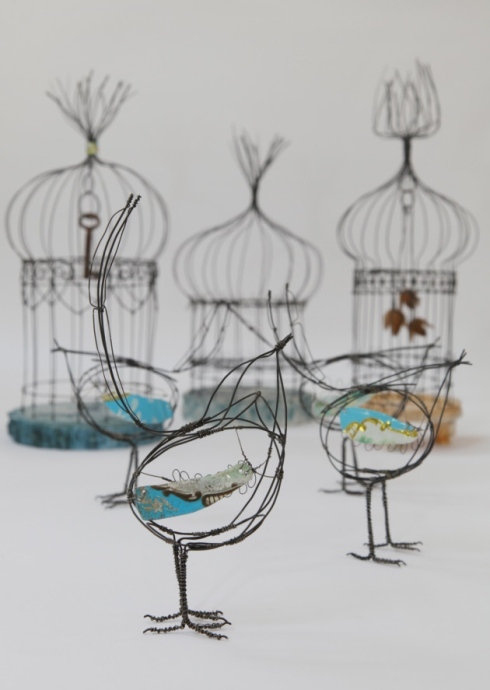 I've been busy organising, collating and presenting my findings from river walks. 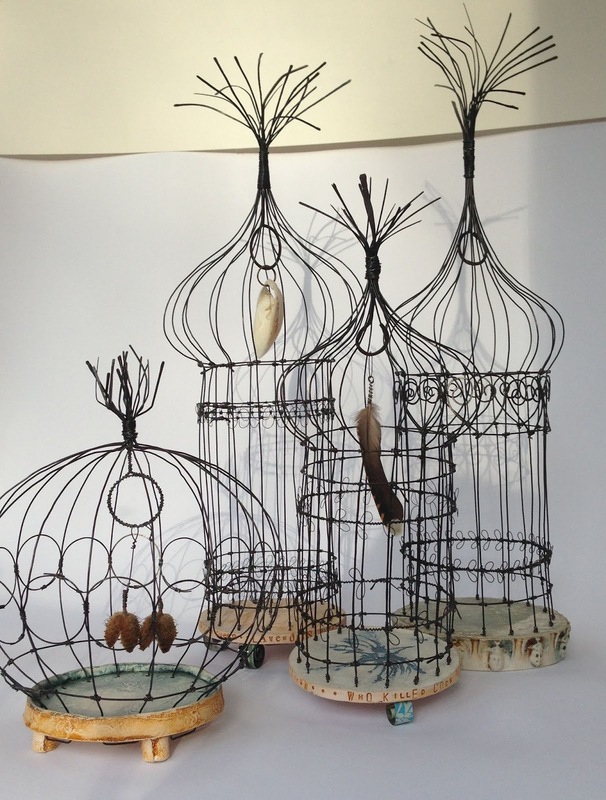 I was very pleased to be asked to exhibit at Mid-Cheshire College in Northwich, it was a great excuse to make some new work.